Just in case you forgot: spring is auction time. Earlier today was Sotheby’s big Fine Jewels auction, but next week we have two others – Christie’s and Dupuis. Looks like more than one dragonfly brooch this year, if that’s your thing. 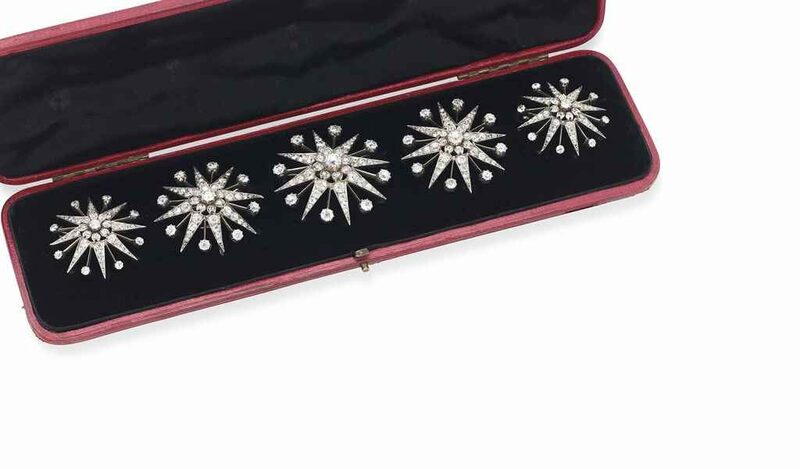 I thought these star brooches were particularly beautiful, and so delicate for something so old! Even though they are so far out of my price point (which is $20.00), that I might as well be looking at real stars.